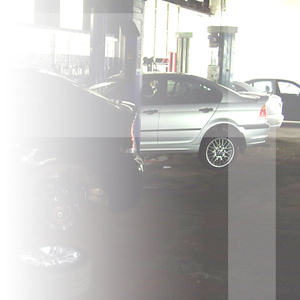 With a combined total of over fifty years experience in vehicle repair and maintenance, peace of mind is free to you when you bring your vehicle to us for service. If you really cannot be without transport, telephone us in advance, and we will endeavour to have a vehicle available for you. If you have any difficulty getting your car to us, telephone to arrange collection at a mutually suitable time. With our no nonsense fixed servicing and inspection prices for your BMW, you will know how much you pay before you come to us.